So, you have limited mobility and getting to all the monuments, memorials and museums of Washington DC seems like a serious problem. Don’t panic! DC is a city that is uniquely geared to visitors with limited mobility. Whether you are slightly disabled, fully handicapped or a senior with walking difficulties, you will find plenty of options to enjoy your visit. There is handicapped parking on the south side of the Lincoln Memorial on Daniel French Drive. Right by that parking, the National Park Service operates an information kiosk where a few wheelchairs are available for free use. You have to leave an ID with the park rangers in order to get one of these wheelchairs. The main plaza in front of the Lincoln Memorial is accessible with no steps. It is a short walk, and you really should go at least this far in order to get the most inspiring view in Washington DC. If possible, you really should also go up to the inner chamber where the Lincoln statue sits majestically overlooking the city. Facing the Lincoln Memorial, you will see a door to the left of the staircase. A ramp leads from the plaza to the door. Go inside that door to find the elevator that will take you into the inner chamber. You will also find restrooms here. In 2017 and 2018, this elevator has been undergoing on and off reparations. Hopefully, it will be open with no problems by the time you visit. 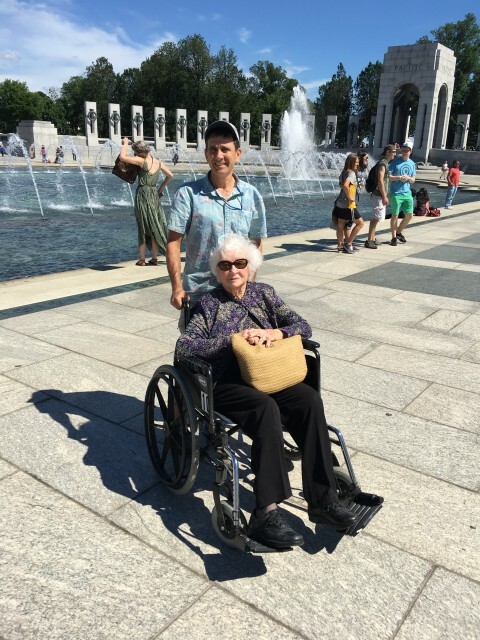 Unfortunately, the Jefferson Memorial provides poor access for limited mobility visitors. There is limited handicap parking out on East Basin Drive, and that parking is frequently taken up by illegally parked tour buses. Even from there, you have a bit of a walk simply to get to the Jefferson Memorial, which is set back from street level. You can walk around to the front of the memorial along the sea wall and get a splendid view. Better yet, look for a door that goes into the base of the memorial. Inside, you will find an elevator to get up to the inner chamber. 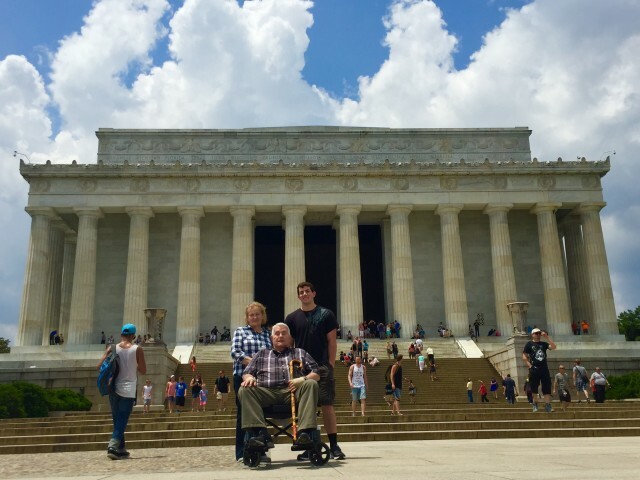 It would be quite an endeavor to get access to a free wheelchair at the Jefferson Memorial. The park rangers don’t maintain an information desk anymore. If you find a United States Park Policeman on duty, he can help you open a locked door to get the wheelchair. This will all take time for one of the party to go and get it and come back to the street. There is convenient handicapped parking. No steps are required to explore the memorial, which is not far back from the street. The visitor information center nearby can provide free wheelchairs. 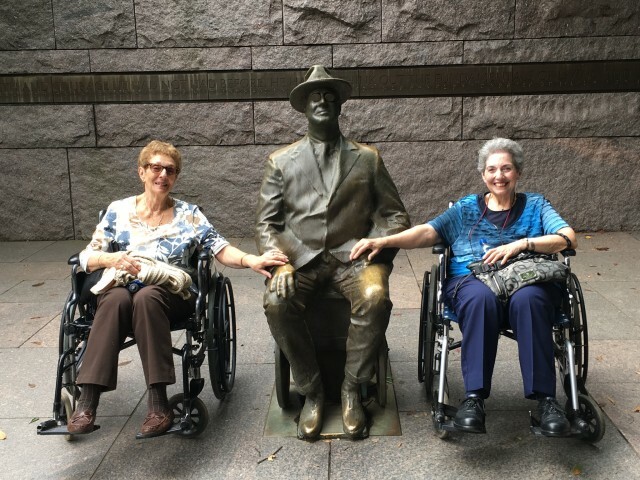 The FDR Memorial was designed to have excellent access for visitors with limited mobility. There are no steps anywhere in the memorial. Unfortunately, the horseshoe entrance that was once open for handicapped vehicles is now closed for security reasons. So, you have a bit of a walk from West Basin Drive to get inside the FDR Memorial. This memorial is quite extensive and requires quite a bit of walking to fully enjoy. At the visitors center giftshop they can provide free wheelchairs for your use. The Washington Monument is currently undergoing renovations. Theoretically, it will reopen sometime during 2019. Take that with a grain of salt, however. The Washington Monument is set back quite a ways from the street. There are ramps leading up to the plaza around the base. Presumably, when the renovation work is completed, access for limited mobility visitors inside the Monument will be greatly improved. Some work needs to be done to improve access to the Vietnam Memorial for visitors with limited mobility. There is no handicap parking here. Its a bit of a walk from the Lincoln Memorial handicapped parking. On the bright side, there are no steps at all. A ramp leads down past the Wall. There are plans for a visitors center, where they would presumably have wheelchairs available and handicap parking. The WWII Memorial has excellent access. There is small, dedicated parking area on Homefront Drive with some handicap spaces. No steps required to explore the memorial. Wheelchairs available from the ranger office right by the parking. The Korean War Memorial has excellent access for visitors with limited mobility. There are no steps to climb at all. Handicap parking is very close on Daniel French Drive. And wheelchairs are available from the nearby ranger station. The National Gallery of Art has an entrance on all 4 sides of the building. Handicap parking is on the Madison Drive (south side) of the National Gallery. Unfortunately, that entrance requires climbing a tall flight of stairs to get into the main building. There is really no other alternative than to park on Madison Drive and walk to the east entrance to the building. Either that of have someone drop you off and then go park. If you are coming by taxi or Uber, the driver may wish to drop you off at the Madison Drive side of the building. If so, have him go around the corner and drop you off at one of the other entrances instead. Click for the National Gallery of Art accessibility page. There is no parking at all on Pennsylvania Avenue near the main entrance. There is a parking garage just across 6th Street, though. Handicap parking is on Madison Drive. Traditionally, the Madison Drive entrance required a climb up a tall flight of steps. The handicap accessible entrance to the museum is on Constitution Avenue. Unfortunately, on Constitution Avenue, there is no parking at all. However, a handicap accessible ramp is currently under construction on Madison Drive. It should open in 2019. More information on the Smithsonian Natural History Museum Accessibility page. The handicap parking is on the Madison Drive side of the building. No steps necessary to enter the building from either entrance. For more information, check out the American History Museum accessibility page. Both entrances are handicap accessible. Handicap parking is on the Jefferson Drive side of the building. The staff can arrange special tours for those with disabilities. Click for the Smithsonian Air and Space accessibility web page. There is no parking of any kind here. If you are to be dropped off at the Holocaust Museum, the street area directly in front of the entrance is blocked by orange cones for security reasons. Vehicles may not unload passengers right there. If a car stops, security guards will immediately come out and make you keep driving. Your best bet is to drop off on 14th Street just before the main entrance. If you are traveling south on 14th Street, cross Independence Avenue. The first building you see is a large red clock tower. That is the United States Forest Service. You can stop your car at the end of that building on 14th Street and unload. This is close to the entrance to the Holocaust Museum. If you try to get closer than that, you will not be permitted to unload. The Holocaust Museum accessibility page gives detailed information. Handicap parking is available on Madison Drive east of 14th Street. Paid parking at the Ronald Reagan Building is a good alternative. Both entrances to the museum are handicap accessible. Visit the African American Museum accessibility page for more information. 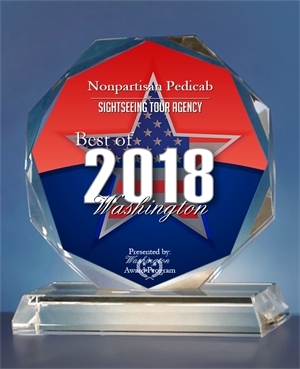 Things to Do in DC with Limited Mobility — Take a Private Tour with Nonpartisan Pedicab! You are free to get off at each monument. When you return, you won’t have to wait for the bus to show up. We will be right there waiting for you. Easy to get in and out of the pedicab. We have a handrail, a step, and we can get right up to the curb. 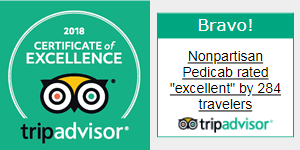 Read our fantastic Nonpartisan Pedicab Tripadivsor reviews. 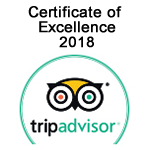 We will do everything to make your visit unforgettable!